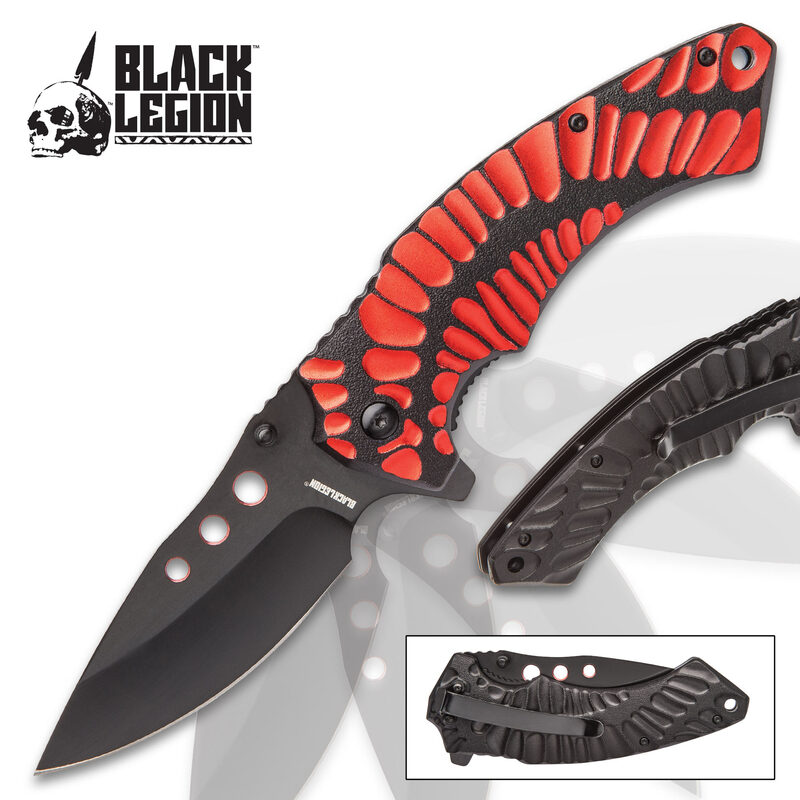 Black Legion Primordial Heat Pocket Knife - Stainless Steel Blade, Assisted Opening, Anodized Aluminum Handle, Pocket Clip | BUDK.com - Knives & Swords At The Lowest Prices! The Primordial Heat Pocket Knife from Black Legion calls to mind the sheer power of the primordial forces which shaped prehistoric earth. 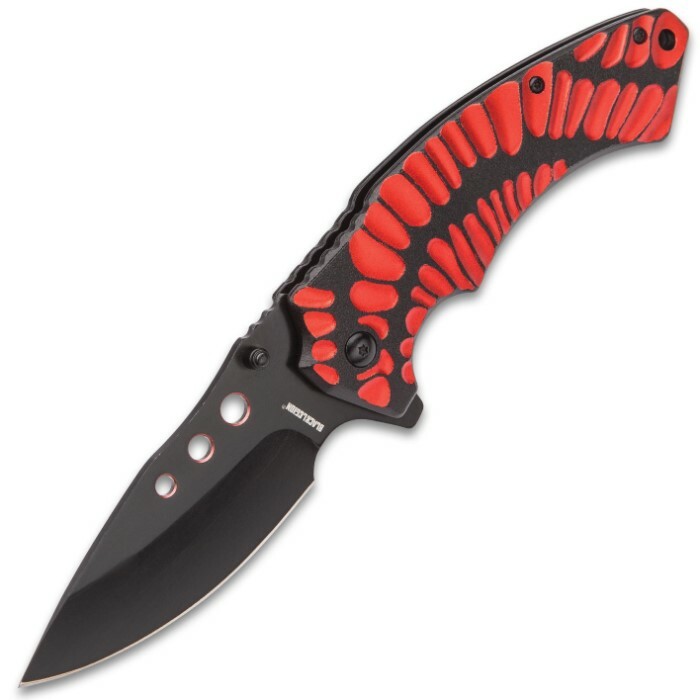 The metallic red dinosaur scale pattern deeply embedded in the anodized aluminum handle is visually arresting as it pops up off its black background. 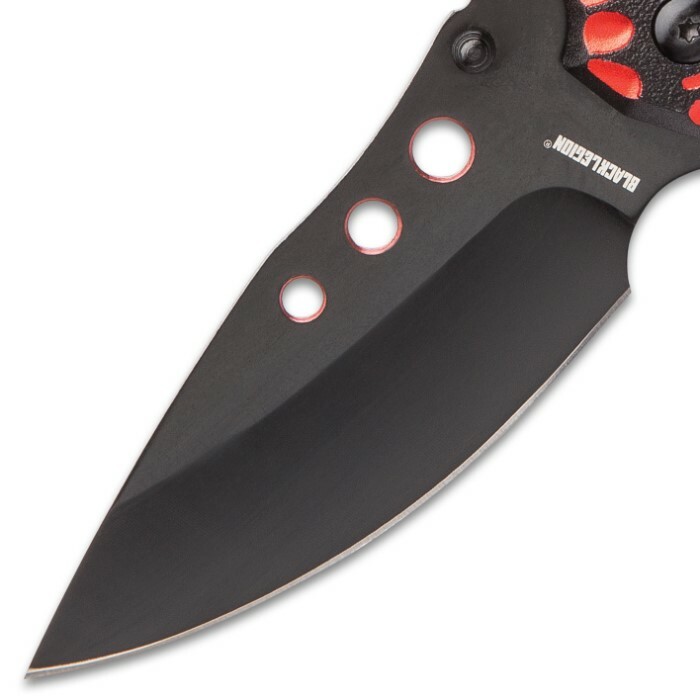 A sharp and beefy, 4” black 420 stainless steel blade features metallic red rimmed through holes and can be easily accessed with the assisted opening mechanism with the thumbstud. 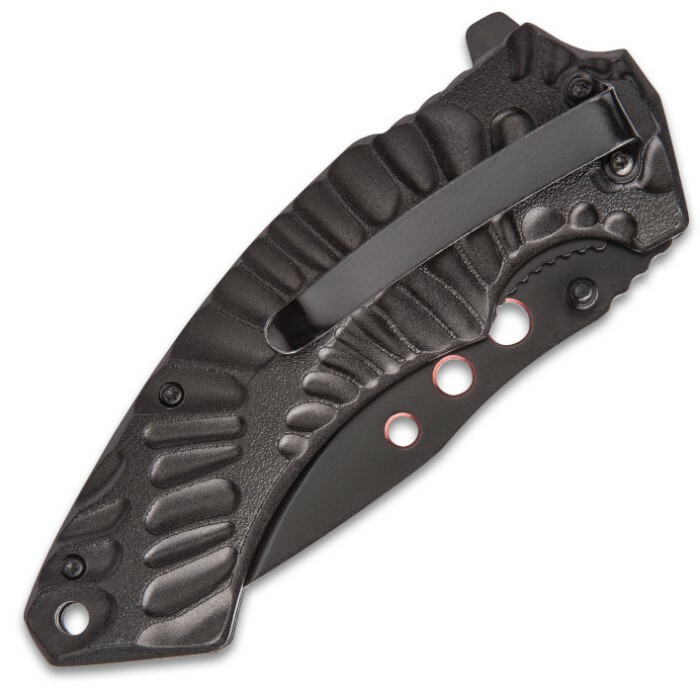 The handle has a sturdy pocket clip and a lanyard hole for an alternate carry option. 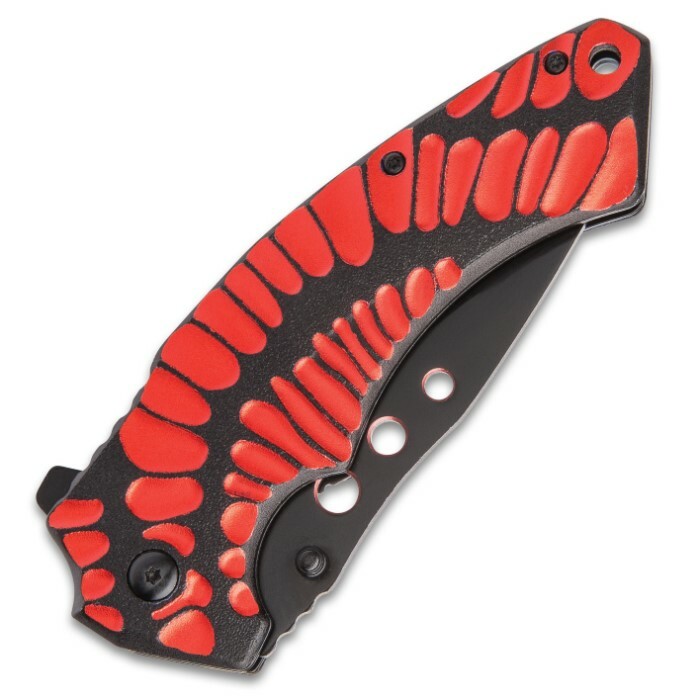 Powerful construction and design make this pocket knife a force of nature! Bought it on sale so I wasn't expecting much. 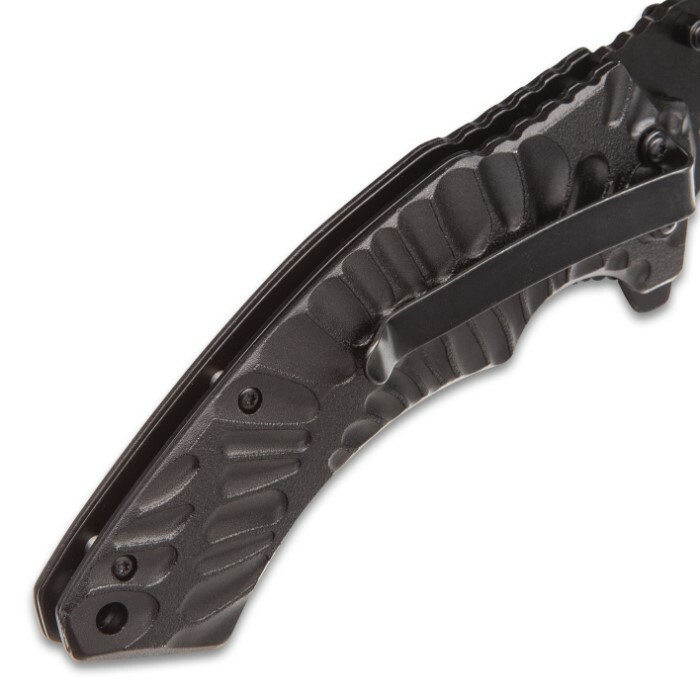 Has a heavy handle and a smooth open with either the finger flipper or the thumbstud (left or right handed). Came sharp out of the box but I made it even sharper. Has a wide thin blade and the crescent at the bottom fits your finger for small tasks. Beautiful knife, just wish the pattern was painted on both sides. The only minor drawback. This is a sweet all-around knife. It's a Black Legion but it's no fantasy knife. This could rank as a survival knife. Maybe the sharpest blade I've gotten from BudK. Beefy design, and nice styling. I just ordered my third.